As Pitt Police Officer Charles Welsch approached the South Oakland porch, the students who saw him started to run. 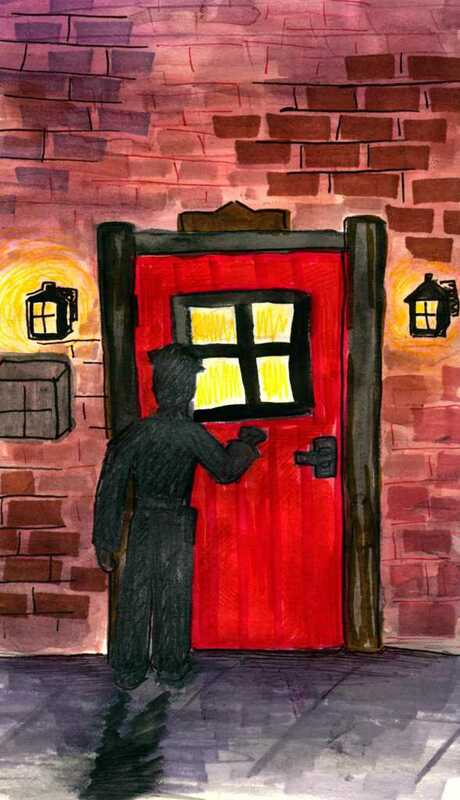 He walked past those who stayed frozen still and knocked loudly on the front door of the Bates Street home. When a student answered, he and his partner entered the house to find the leaseholder. It was 11:30 p.m. on Jan. 30, a frigid Saturday night. Welsch had stopped by the house on Bates Street after hearing blaring music from a block away while he patrolled the neighborhood to avoid complaints about students from permanent residents in South Oakland. Seeing Welsch’s navy uniform, handcuffs and gun in holster, more students fled, pouring out of the house at a faster rate than the officer could stop them. It wasn’t until Welsch found the residents of the home that someone finally turned the music off. It was just another Saturday night on the job. In South Oakland, a neighborhood that is approximately 57 percent renters and 43 percent permanent residents, according to Pittsburgh SNAP, an online data center which gathers census data on Pittsburgh, tension is inevitable. On the weekends, students throw house parties. At monthly community meetings, residents complain that students are loud and throw trash in the streets. The Pitt police work to resolve these issues between Oakland’s two populations, a job that requires balancing students’ and residents’ interests with the law. Part of that job includes the Pitt police’s impact detail, which means increasing patrolling during high conflict times — specifically, the weekends. Every Thursday, Friday and Saturday, from 11 p.m. to 3 a.m., four more Pitt police officers patrol Central and South Oakland — the area around campus and where most students reside — by car and on foot to curb and deter underage drinking, excessive parties and other dangerous or disruptive activities. When residents call in a complaint about excessive noise or parties, officers respond and break up parties or issue citations. They also issue citations for underage drinking, public drunkenness, public urination and open containers, among other offenses. Welsch, who has been with the Pitt police for three years, said officers aim to genuinely improve community relations — they don’t simply want to bust students and get them in trouble. Officers aim to keep residents and students at ease throughout the process. Community policing is not new to the city. The Pittsburgh Police are pushing for more community policing to try and familiarize officers and residents of Pittsburgh’s neighborhoods with one another. Pittsburgh police Chief Cameron McLay made the call for community-oriented policing in 2015, emphasizing that residents should know officers personally so they know who to call when they have a complaint. The Pitt police have followed this lead with its impact patrol and knock and talks, which involve officers going to homes that have had complaints lodged against them to discuss their actions — an initiative to get police officers more personally involved with Oakland residents. There are other organizations that also work to develop community relations, such as South Oakland Neighborhood Group, a community organization that works to improve relations in South Oakland and the Pittsburgh community. Although disruptive students are the minority, Mark Oleniacz, marketing chair for SONG, said he appreciates the community policing efforts of the Pitt police. But long before house parties and knock and talks, Oakland was just another tight-knit neighborhood. Founded in 1787 and originally called the Pittsburgh Academy, Pitt’s original campus was in Downtown Pittsburgh. The campus moved to Allegheny City, now known as the North Side in the late 1800s due to increases in the student population. Needing even more space, the University moved to Oakland in 1908, according to Pitt’s website. But the small space and large volume of people led to a difficult transition for both residents and students, Pitt Magazine reported in 1994. For example, Zach Grewe, a junior majoring in psychology and a student living in South Oakland near Meyran Avenue and Louisa Street, said he dislikes the makeup of the neighborhood since he moved into his home in the fall. He worries that students have unfairly disturbed the once-strong connections within the community. On Jan. 23, another bitter Saturday night, Welsch and Officer Ravi Wilcher, who has been on the force for two and a half years, pile into a marked Ford Explorer just shortly after 11 p.m. It is 19 degrees. The four-wheel-drive vehicle accelerates through the narrow streets of South Oakland, which are covered in two inches of unplowed snow. Christmas lights illuminate several houses on Parkview Avenue, a street the officers explain is home to a mix of permanent residents and students. Because of this, Parkview is one of the officers’ more heavily patrolled streets — more students and residents living together means greater likelihood of conflict, according to Welsch and Wilcher. Other streets, such as Atwood Street, house mainly students, and places like Lawn Street house mostly permanent residents. “There is more conflict where you have a mixed population of students and permanent residents,” Welsch said. Weaving in and out of the one-way streets, small talk and the police scanner eat up the silence. The officers monitor Police Zone four, which houses Pitt’s campus and South Oakland, through the car’s scanner. Most people call in a complaint directly to the Pitt police’s dispatch center, but if someone calls 911 instead, Welsch and Wilcher can respond to the call from the scanner. When officers receive a complaint, they respond to address the issue, keep it from escalating any further and keep it from happening again. Sometimes this means breaking up a party, or giving warnings or issuing citations for public drunkenness, excessive noise and other violations. Police then report those parties or violations to Pitt’s Office of Community Relations. Most citations officers issue during impact detail are summary offenses, and students can choose to plead guilty or not guilty. If they plead guilty, they pay a fine. If they plead not guilty, the city magistrate schedules a hearing in the municipal court system. Welsch said students usually get 10 hours of community service, and when they come back with proof of completion, the citation is expunged from the system. The day following a complaint from a permanent resident, whether officers issued a citation or not, Community Relations Officer Guy Johnson will go to the residence to do a “knock and talk.” During knock and talks, he talks to students about the consequences of their actions, both to the neighbors and to themselves. Rebecca Keller-Tarczy, a senior majoring in biology, lives in South Oakland, where about half of her neighbors are permanent residents. Johnson wouldn’t give any names of students who he had visited during a knock and talk to protect their privacy, but Keller-Tarczy said she has seen them patrolling and delivering knock and talks near her home. “If [a knock and talk] happened to me, I’d definitely be scared and I’d try to keep it down next time,” Keller-Tarczy said. Knock and talks, a reactive form of policing, are distinguished from impact detail, which is more proactive, and aimed at reducing the number of complaints. Knock and talks happen only after a complaint, and police use them to check in with students and residents. They can only address existing problems, while impact detail can stop problems from occurring at all or keep them from escalating to the point of disturbing other neighbors. The night of Jan. 23 continues on. It’s 17 degrees at 11:56 p.m. as Welsch parks the SUV near Sennott Square and the two officers put on hats and gloves to begin patrolling on foot. It’s a routine night for Wilcher and Welsch. Within five minutes of getting out of the car, Wilcher spots two students with open containers of beer across the street. “Stop right there!” Welsch yells. The officers ask for the students’ IDs and read them to a dispatcher who checks for a prior record. As one student texts his mom, the officers explain the citation and hearing process to the students, their pens dying halfway through from the cold. There are certain regulations for issuing citations. When it comes to open containers, officers can only cite a student drinking from a marked open container, such as a Four Loko or a Coors Lite can. If a student is using an unmarked container, such as a water bottle or coffee mug, the officer can not issue a citation unless they can determine alcohol is in the container by sight or smell, according to Welsch. As far other citations go, the line to determine when to take legal action is not clearly drawn, according to Welsch. At a party, for instance, it is impossible for two patrol officers to cite every single person there, especially when many run away. Officers can decide to cite the leaseholders or not, depending on the size and intensity of the party and whether there was a complaint. Similar standards apply to marijuana and public drunkenness violations — the violation has to be obvious for an officer to issue a citation. Some officers choose to cite regardless of the situation, while others are more lenient and try to focus on deterrence for the future, according to Welsch. Since many situations come down to an on-scene decision, officers must think quickly about which citation, if any, is appropriate. James Loftus, chief of the Pitt police, said discretion is a difficult issue to deal with, and one that is heavily managed and observed. So, the police manage discretion in two ways: training and supervision. Once an officer has graduated from the police academy and applies to work at the Pitt police, he or she enters a formalized training program. Each officer goes on three different one-month shifts with three different field training officers experienced in, among other things, discretionary training. Officers must show they are capable of making quick decisions and be approved by their field training officers before the Pitt police officially hires them, Loftus said. From there, all officers must undergo yearly state-certified Mandatory In-Service Training, totaling 16 hours of continuing education per year in order to maintain their certification. Classes always cover diversity and sensitivity training. Classes are held by the Pennsylvania Municipal Police Officer’s Education and Training Commission, which is the organization that certifies all Pitt police officers. Classes are held at certified Municipal Police Academies across the state, according to Welsch. Higher officials also supervise officers in a very structured system that allows difficult discretionary cases to go up the chain of command so an unsure officer isn’t left on his own to make a hard decision, Loftus said. Loftus calls the supervisory system “quasi-military.” You start out as an officer, work your way up to sergeant, followed by lieutenant, commander and then chief, Loftus said. “We mandate that there’s always a minimum number of supervisors there and they supervise the discretion,” Loftus said. On any given impact detail shift, there are always officers, sergeants and lieutenants on duty at the same time. Like officers, sergeants and lieutenants respond to calls but also make themselves available for advice, especially on discretionary matters. Loftus calls sergeants the most important rank in the police department because of all of the questions they field in terms of discretion and best practices. With the discretion the Pitt police are given, officers must decide how rigorously they want to cite students, according to Welsch. Deterrence and preventing future problems is what most officers prefer, according to Welsch. Welsch and Johnson agree that the Pitt police, as well as other departments at Pitt, want to improve relations in the community, but they don’t want to unreasonably punish students in a way that could harm their futures. As Johnson pointed out, if a student is cited for underage drinking, the state can expunge it from a criminal record, but not a driving record. While other citations can be expunged eventually, there is still the possibility of being denied a job or internship if an employer finds out about a citation. Welsch said when he does issue citations, he issues city ordinance violations rather than crimes code violations because they incur lower penalties and are easier to expunge from a record with community service and/or payment of fines. City ordinance violations include open containers, loud noise and public urination. Crimes code citations, on the other hand, include underage drinking, public drunkenness and disorderly conduct, and can carry heavier fines and penalties, according to Welsch. An open container citation, for instance, can be easily expunged from a student’s record with payment of fines and typically 15 hours of community service. Underage drinking, though, which is a crimes code violation, carries a suspension of the student’s driver’s license for 90 days, and the court will not erase it from that student’s driving record, Welsch said. Issuing citations is the last effort in a three-part plan to keep the community in Oakland unified. Citations and impact patrol more generally are the third part of the Be a Good Neighbor Campaign, called enforcement. The first two parts, educate and engage, work to prevent problems, according to the Student Guide on Campus Life, issued by Pitt’s Office of Community and Governmental Relations. The Community and Governmental Relations office at Pitt developed the campaign, which works to maintain positive relationships with governments within Pittsburgh and Allegheny County, community organizations and the members of the community within Oakland. Educating students includes discussions with first-year students during Pitt Start about expectations for living off campus and workshops on tenants’ rights for students living off campus. The University engages students by hosting block parties with students and residents to foster positive relationships between the two groups, according to Kannu Sahni, director of Pitt’s Office of Community relations. Sahni said all three parts are essential to maintaining the well-being of both the residents and the students in Oakland. The efforts have been successful so far. Sahni reported that residents of South Oakland said this past fall has been the quietest fall they could remember. Larry Davis, director of the Center on Race and Social Problems and the dean of the School of Social Work, said the difference in age and responsibilities makes it difficult for the two groups to share the same space. “[The permanent residents] are working class people here — they may not see themselves as having a bright future as you do, so there may be some jealousy there,” Davis said. Around 12:30 a.m. that Saturday in January, impact patrol pulls up to the corner of Atwood and Bates Streets where fire crews and other Pitt police are already on scene. A male Pitt student had passed out in the gutter, highly intoxicated. Officers remark that he is probably mildly hypothermic, as EMTs pull up to the scene to care for the student. Not needed at the scene, Welsch turns and continues his on-foot patrol. He recalls an incident one winter night when he first started on the Pitt police force. A female student had been at a fraternity house all night and she fell coming down the steps near Eberly Hall. A male student who was with her couldn’t get her up and left her. She was brought to the ER where they used warming blankets to bring her body temperature up. She survived, but Welsch is reminded of the real dangers he sees on his beat. The officers retreat back to the car at 12:43 a.m. to warm up and drive the streets again, stopping and getting out to investigate houses or incidents occasionally. Wilcher is talking about how bad the coffee is that he got from a local convenience store when the SUV rounds the corner to show other officers issuing a parking citation to a vehicle that is parked haphazardly, about three feet from the curb. Welsch then follows another Pitt police car that pulls over a red car that has been spotted repeatedly driving recklessly all night. As an officer is writing the citation, Welsch and Wilcher get a call over their radios and run back to the SUV. Welsch flips the lights on and speeds down Bouquet Street toward Semple Street where a fight had broken out at a bar. Upon arrival, the situation had already broken up and half a dozen other officers had already diffused the situation. “Extremely code 4,” Wilcher said, meaning everything is OK. It is 10 degrees at 2:02 a.m. as the officers head back to the station to finish the paperwork for the night. The statistics of the night will then go to Pitt and community groups within South Oakland in the form of a police blotter, Welsch and Wilcher said. “[This lets community groups know] that the University cares what its students are doing,” Welsch said. Despite students covering the streets and underage drinking and house parties claiming a large number of their concerns, Loftus is aware that Pitt police are working in more than just a college town.